INTRODUCING THE 17TH ANNUAL FILMED BY BIKE! This year’s collections of films from around the world is by far our best collection to date, and we can’t wait to share them with you. 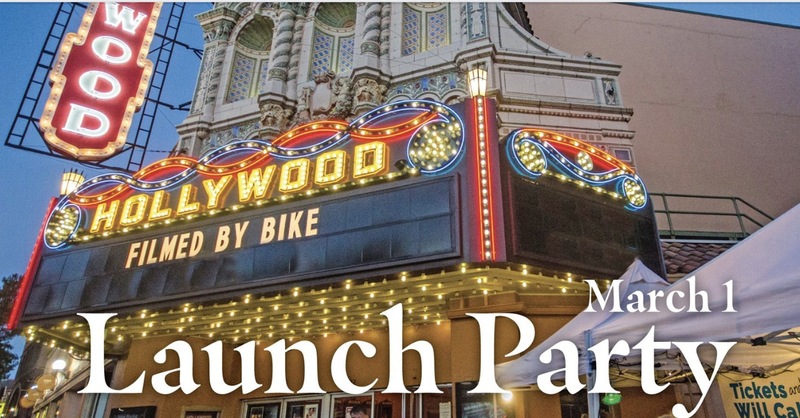 Come to our Festival Pass Launch Party to find what’s in store for the festival and get a glimpse at some of the films. * A sneak peek at this year’s festival. * Exciting news about what’s in store for this year’s festival. * Check out the cool NW Documentary Screening Hall and learn more about what this impressive organization does year round. NW Documentary is an organization that helps people tell their story through documentary films. They offer an array of expert workshops for aspiring filmmakers and hobbyists to learn the latest techniques, equipment and basics in a hands-on, supportive setting.